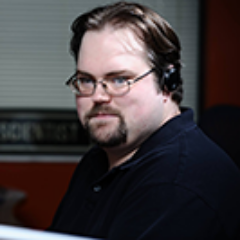 Joe Ferguson is a PHP developer and community organizer. He is a founding member of the hacker/maker space, MidSouth Makers and served on the board for 4 and a half years. March 2014 he co-founded The Memphis Technology Foundation and is also known locally for bringing hackathon to Memphis when he started HackMemphis in 2013. Joe has always felt sharing knowledge is an excellent way to support the tech community and he contributes by giving lectures and facilitating training sessions at conferences like php[world] and SunshinePHP. Despite his busy schedule he still finds time to lead the local PHP user group, MemphisPHP and hosts the NomadPHP lightning talks monthly. He’s been married to his extremely supportive and amazing wife for a really long time and she turned him into a crazy cat man. They live in the Memphis suburbs with their two cats.